In yesterday's post I showed you the fabulous floral print dress that I purchased at Target for the launch of designer duo Peter Pilotto. Today is part two of my haul, as I felt that one post would not be suffice to discuss all of the items that I purchased and how I would style them. The second piece that I will be showing in today's haul is of a black and white tank top that I purchased during the launch. I think it is important to have a white and black pieces in your wardrobe, because they it's classic and if styled properly they can create a very elegant and polished look. So, when I saw this white and black tank top dangling from the hangers on the rack, I knew that I had to grab it fast before someone else got their hands on it. 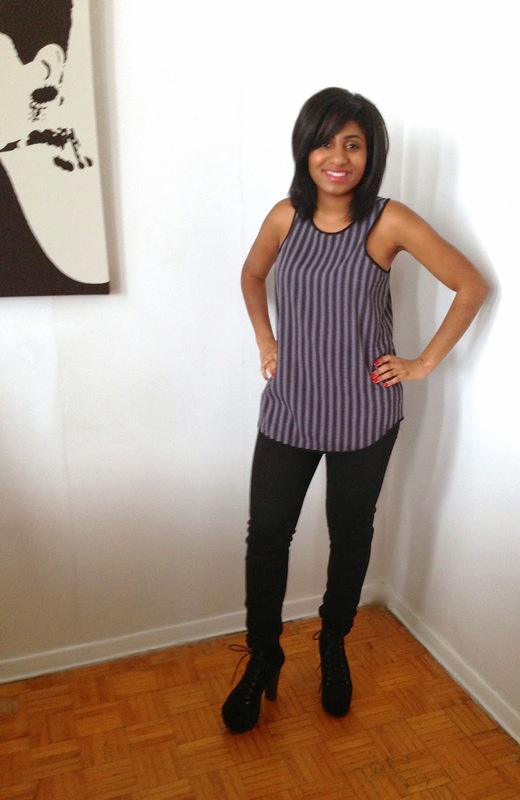 I really like this tank top because it is versatile, and can be styled in different ways. For instance, I can wear it on its own with a pair of jeans to go out with the girls for cocktails, or I can add a blazer and wear it in a professional setting such as in an office. See how adding a blazer quickly changes the look of the outfit, which now looks professional and can be worn in the office. 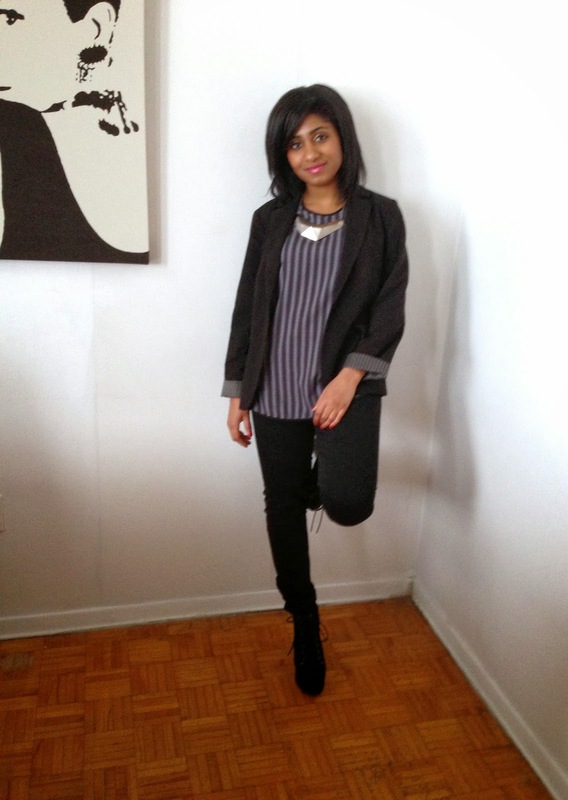 The shoes I am wearing are by Jeffrey Campbell and add some fun and an extra pop to the outfit. I really like wearing this tank top in both of the ways that I mentioned previously, and I look forward to finding new ways to style it with the clothes that I have in my closet. I hope my post was helpful and gave you some style inspiration! And remember to stay fabulous! If you liked my blog feel free to share with others and don't forget to subscribe!